I’ll begin my homily today with a question: If you were Satan, what would you do? Keep in mind what his goal is: The goal of Satan is to take souls to hell—as many souls as he possibly can. If that were your goal, if that was what you were ultimately trying to achieve in your life, what would be the steps you would take to get there? Personally, I would attack humanity like I would attack a house if I wanted to get it to fall: I would go after the foundation! That means I would go after the family, because the family is the foundation of every society. And I submit to you that’s precisely what Satan has done in the last half century especially. And, we have to be honest about it, he’s done a pretty good job! 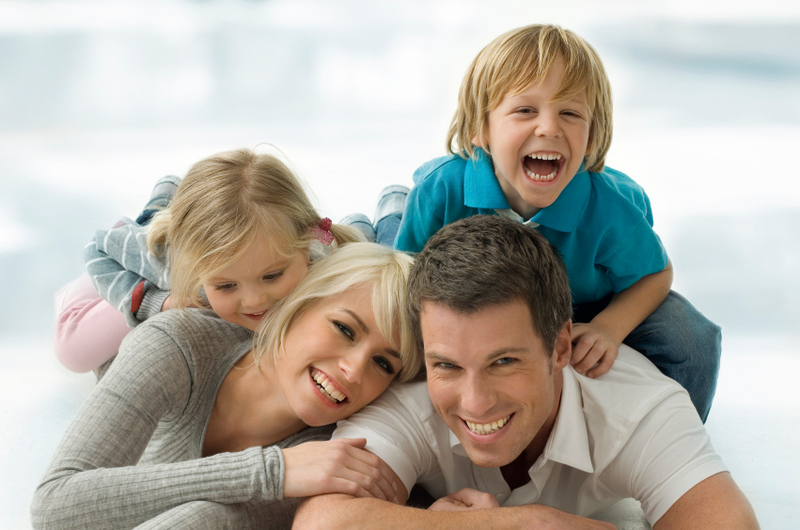 Every study I’ve ever read has made clear that this (the traditional, nuclear family) is the best and healthiest environment in which to raise children—which is precisely why Satan is trying to destroy it through things like infidelity, and contraception (which makes infidelity easier and more common), and divorce, and the promotion of “alternative living arrangements” like the “living together phenomenon,” and so-called gay marriage. This is Satan’s anti-family strategy which, as I said earlier, is working. But the good news is, it’s only working because we are allowing it to work! Remember, Satan has no power over us save the power we give him. Which leads to the obvious question: How can we reverse the trend? How can we undermine Satan’s plans for taking souls to hell through the destruction of family life? Or, to put it in a more positive way, what can we do to strengthen family life (which is, and always will be, the foundation of our society)? Those are all words that begin with F (like family) so they will hopefully be easy to remember: To strengthen family life in general, and our individual family life in particular, we need to promote and practice those 3 realities: faith, fidelity and forgiveness. First, faith. A family that’s united in a common commitment to God is a family that’s united in a common belief system—especially a common belief system concerning what’s right and what’s wrong. And that can go a long way toward achieving family harmony. If, for example, everyone in your family believes that lying and stealing and cheating and disobeying legitimate authority are wrong, that will make a big difference in what goes on in your home. Everyone will be “on the same page” so to speak in terms their personal morality, because everyone will have the same, ultimate, Divine Authority in their life. Which brings us to fidelity: Fidelity is faithfulness—faithfulness especially toward one another in difficult times. How many marriages and families break apart when things begin to get tough? In some families nowadays there’s little or no desire to work at relationships. I’ve heard of parents—supposedly Catholic parents—who have threatened to disown their pregnant unwed teenage daughters unless their daughters get abortions. What kind of support is that? Support—fidelity to another person—means encouraging that person to do the right thing, and then helping them to follow through on that intention. It doesn’t mean condoning sin of any kind, but it does involve giving emotional and spiritual guidance and support to the sinner (in this case the sinner in the family). Which brings us to the final necessary component for the restoration of family life: forgiveness! No marriage survives without it, no family survives without it—no interpersonal relationship whatsoever survives without it. So there you have it: faith, fidelity and forgiveness—the three components of a strong family life. And finally, forgiveness. Since neither Jesus nor Mary ever committed a sin, there was nothing to forgive there—but the very fact that they never committed any sin means they never committed the sin of unforgiveness—which means they ALWAYS forgave Joseph! Immediately! It May Not Always Be Wonderful, But It IS Always Worthwhile—With Jesus Christ! It may not always be wonderful, but it is always worthwhile—with Jesus Christ. That, in one line, is my message to you on this Christmas Day. Of course, my homily will be a bit longer than that; I certainly wouldn’t want to disappoint anyone with a one-line sermon! This thought (“It may not always be wonderful, but it IS always worthwhile—with Jesus”) came to mind the other day after I read a brief excerpt from the autobiography of Frank Capra. 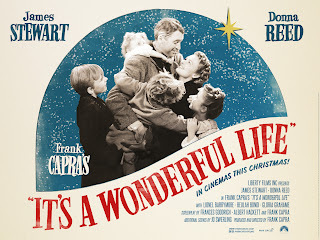 Frank Capra was the man who directed the classic Christmas film, “It’s a Wonderful Life” (my favorite Christmas movie) which starred Jimmy Stewart and Donna Reed. I’m sure most of you have seen it, but for the benefit of those who haven’t, the story centers around George Bailey, an ordinary man who has some extraordinary dreams—none of which ever becomes a reality. He dreams of striking it rich, but as the head of the local Building and Loan Company he never does more than make ends meet. He dreams of getting a great education and becoming famous, but he never even gets to go to college. He dreams of traveling to exotic places all over the world, but he never even leaves his hometown of Bedford Falls. In George’s own mind, he’s a failure, and yet, as the story makes clear, he’s a man of sacrifice, a man of integrity, a man of compassion and goodness—and a man whom God has blessed with a loving family and many friends. But George doesn’t recognize any of this, and so, when things begin to go badly for him, he finds himself on the verge of despair. He runs into problems at work, his relationships with the members of his family become strained because of the stress he’s under, and he begins to think that everyone might be better off without him. So he considers committing suicide by jumping off a bridge. Enter Clarence—good, old Clarence. Clarence is George’s guardian angel, who comes to the rescue in response to the prayers of George’s family and friends. George tells Clarence at one point that he wishes he had never been born; that this world and everyone in it would have been better off without him. So Clarence gives him his wish: George gets to see, and to experience, what the world would have been like had he never been born. And, much to George’s surprise, the world is a lot different, and in many ways a lot worse in his absence: his town is different, his family is different, his friends are different. It’s at that moment that George finally sees things as they really are. He realizes that his life is blessed in so many ways, and he understands that throwing it away would be a tragedy of the highest order. “It’s a Wonderful Life” wasn’t made for the oh-so-bored critics, or the oh-so-jaded literati. [Rather] it was my kind of film for my kind of people. . . .
[It was]a film to tell the weary, the disheartened, and the disillusioned; the wino, the junkie, the prostitute; those behind prison walls and those behind Iron Curtains, that no man is a failure. [It was a film] to show those born slow of foot or slow of mind, those oldest sisters condemned to spinsterhood, and those oldest sons condemned to unschooled toil, that each man’s life touches so many other lives. And that if he isn’t around it would leave an awful hole. [It was] a film that expressed its love for the homeless and the loveless; for her whose cross is heavy and him whose touch is ashes; for the Magdalenes stoned by hypocrites and the afflicted Lazaruses with only dogs to lick their sores. Too bad we don’t have more film directors today like Frank Capra! That’s a great quote. Although, when I read it the other day I must admit that something about it bothered me. As much as I liked it, I found something about it disturbing. And I soon realized what it was: the title of the film! Given what Frank Capra said in this quote, the title no longer seemed right to me. Think about it. He called the movie, “It’s a Wonderful Life,” but it’s clear that he made the film for people whose lives are anything but wonderful (which means he made it for the vast majority of the human race!). I deal with lots and lots of people in my priestly ministry, and I don’t think too many of them would describe their lives as “wonderful”—or at least they wouldn’t say that their lives are “always wonderful” or “consistently wonderful”: sometimes wonderful, perhaps—but certainly not always. Tragedies—like, for example, the horrible shootings in Newtown, Connecticut two weeks ago—touch the lives of all of us. Which is why I think a better, more accurate title for this film would have been, “It’s a Worthwhile Life.” Now I know that doesn’t have the same “ring” to it as, “It’s a Wonderful Life” has (that’s one reason I’m a priest and not a film maker! ), but it is a more accurate description of the message of the film. 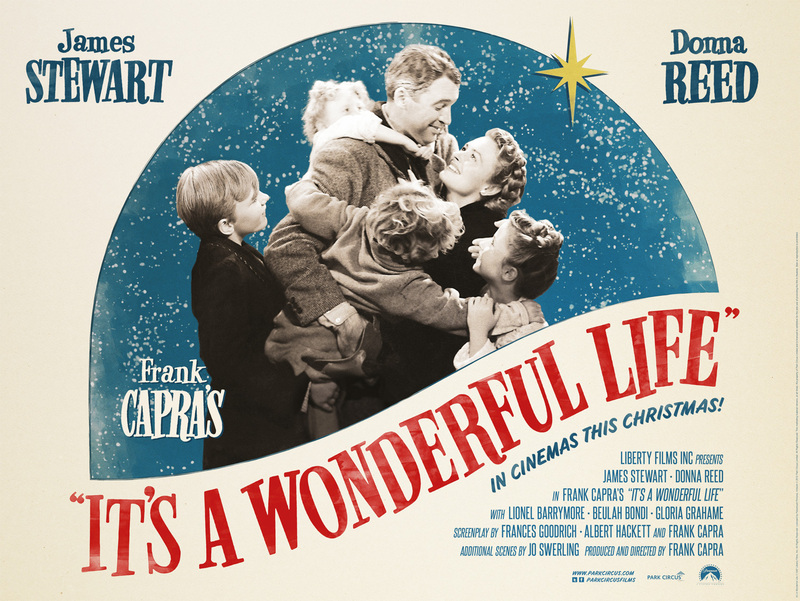 Clarence taught George Bailey, that, in spite of all his problems and trials, his life was definitely worth living! It was, without question, worthwhile. Now that’s a truth that applies to everyone’s life. It applies to all the poor souls that Frank Capra mentioned in his quote. It applies to those who lost relatives and friends in the Newtown shootings the other day. And yes, it even applies to us. But chances are we will not be able to recognize that fact unless we have a personal relationship with the one whose birthday we celebrate today, Jesus Christ—a relationship that’s nourished by prayer and the sacraments. Jesus Christ is God: the divine Son of God who was born of the Virgin Mary on Christmas Day—and only GOD can help us to see the true value of life! That’s the way it was for George Bailey, was it not? God, working through his angel, Clarence, finally got George to see that his life was worth living, in spite of all the bad stuff that was going on around him. This is so important for us to understand, my brothers and sisters, because the fact of the matter is many people today DON’T think that life is worth living! They don’t perceive that it’s “worthwhile.” In this regard, I heard a very disturbing statistic the other day. Did you know that during any given year 15% of adolescents in this country consider suicide, and half of those young people actually attempt it? What a tragedy! I wonder how many in that 15% go to church every Sunday and take their relationship with God seriously. I wonder how many of the parents of those teens are teaching them, by their words and example, that faith is more important than sports, and the other extra-curricular activities that their children are currently involved in. I was talking to a local doctor at the gym the other day—a Christian doctor who’s been battling cancer now for a number of years. He told me that when he was first diagnosed he went through 40 chemo treatments over the span of many months. They had to space his treatments over that very long period of time because the chemo made him extremely sick—and also very tired. Now he may be facing more treatments. Which brings me back at the end to the idea I shared with you at the beginning: Life may not always be wonderful, but life IS always worthwhile—with Jesus Christ! This doctor I talked to the other day understands that. The Mass: The Place Where We Are Supposed To PRACTICE Rejoicing In The Lord! The vast majority of Catholics do not live the faith with joy. This is something that young people never cease to remind me. When I ask teenagers who don’t come to Mass why they’ve stopped, many respond by saying Mass seems so dead and purposeless. Most of the “old people” they see look “dead” at Mass, and seem to come only because they think they “have to be there.” They’ll point to how many people leave Mass before the end of Mass and ask, “How can Mass be so important if they can’t leave fast enough?” They’ll point to the fact that so few people sing. They’ll describe how few people really wish them a genuine sign of peace. They don’t sense joy; they don’t sense much enthusiasm. And looking out from the pulpit and the altar, I have to say that, sometimes, they’re right on. That’s why this Gaudete Sunday is a gift, to get us to focus on the command God gives us through St. Paul to rejoice always, beginning again today. 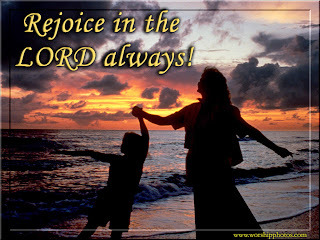 To rejoice in the Lord is not a feeling or an emotion based on what’s going on around us; rather it’s a DECISION! It’s an act of the will whereby we decide to give praise and glory to God because of who he is and because of what he has done for us in and through his Son, Jesus Christ. And the good news is that we can do that regardless of what we’re dealing with at the present moment. We can rejoice in that way, for example, because the expectation of John the Baptist that we heard about in today’s gospel has been fulfilled: the one who baptizes with the Holy Spirit and fire has come; he’s done his salvific work—and nothing that happens to us in this life can ever change that fact! Jesus Christ is the same yesterday, today and forever, as the Letter to the Hebrews reminds us. And, since that is the case, it is possible for a person to always rejoice. The fact of the matter is, we can all find lots and lots of reasons NOT to rejoice: the tragic events in Newtown; the terrible economy; the corruption in our government; the violence and hedonism in our society; the people we know who are sick; our family members who died recently, or who died during the month of December in years past—and on and on the list goes. But here, at Mass, we meet our living Lord, Jesus Christ, in word and in sacrament! Here, at Mass, we have the opportunity to focus on who God is, and on what he has done for us in and through his Son, Jesus Christ—which, as I said a few moments ago, is exactly what we need to focus on if we’re going to be able to rejoice always! So the bottom line is this: Mass is the place where we are supposed to “practice” rejoicing in the Lord, so that we can then take our rejoicing out there—into the darkness of our world, and into the difficulties of our lives. It’s supposed to begin HERE! Of course the real problem is that many Catholics don’t rejoice when they’re here—as Fr. Landry makes clear in that quote I read to you at the beginning of my homily. 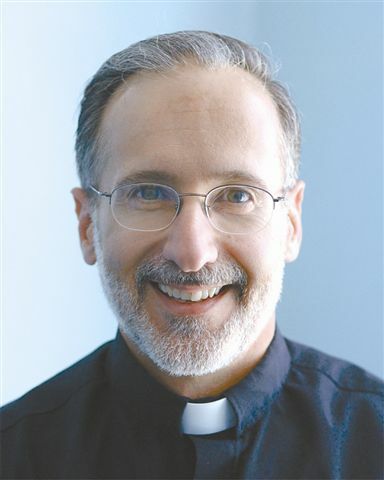 Listen again to some of his words: When I ask teenagers who don’t come to Mass why they’ve stopped, many respond by saying Mass seems so dead and purposeless. Most of the “old people” they see look “dead” at Mass, and seem to come only because they think they “have to be there.” [Of course, it should be added that most of the young people don’t look much better.] [These teens will] point to how many people leave Mass before the end of Mass and ask, “How can Mass be so important if [these adults] can’t leave fast enough?” [A very good question! Obviously, Fr. Landry could also have mentioned those who are habitually late!] [These teens will] point to the fact that so few people sing. They’ll describe how few people really wish them a genuine sign of peace. They don’t sense joy; they don’t sense much enthusiasm. If we can’t rejoice at Mass, where Jesus Christ, our Lord and Savior, is present to us and with us—and even within us through the Eucharist—then how will we be able to rejoice in places where his presence is not so evident? The simple answer is, we won’t be able to! It will be impossible. If you want to be able to rejoice out there, then you need to practice rejoicing in here. So let’s resolve to do that—at this Mass and at every Mass—by participating with sincere and heartfelt enthusiasm—from the beginning, and until the end! Advent is supposed to be about preparation. It’s supposed to be about preparing to celebrate the birth of our Lord and Savior, Jesus Christ, on Christmas Day, and it’s supposed to be about preparing ourselves to meet the Lord face to face at the end of the world or at the end of our earthly lives (whichever comes first!). But for many people Advent is almost exclusively about celebration—the kind of celebration that should be reserved, primarily, for Christmas and for the Christmas season (which lasts from December 25th until mid-January). Now I’m not saying that we shouldn’t go to any Christmas parties or do any celebrating whatsoever before the 25th of December, but I am saying that our primary focus during these 4 weeks of Advent should be on preparing ourselves spiritually for the Lord’s coming. Everything else should be secondary—and that includes partying and baking and (dare I say it?) shopping! In this regard, Bishop Sheen used to say that there are two philosophies of life. The first is the Christian one. Sheen expressed that philosophy in the following way: “The fast, and then the feast.” Applying that insight to this time of the year: for Christians like us Advent should be a time to “fast” (in other words, to discipline ourselves and prepare ourselves spiritually), so that we can truly “feast” and rejoice on Christmas Day—and throughout the entire Christmas season! But, unfortunately, many professed Christians approach these 4 weeks of the year with what Bishop Sheen would call, “The worldly philosophy of life.” And he had a great way of explaining that one. He said the Christian philosophy is “The fast, then the feast” whereas the worldly philosophy of life is, “The feast—and then the headache”! Sheen gives us a great insight there—which applies to more than just those people who get hung over after Christmas parties! The insight he gives us is that the quality of our preparation directly affects the quality of our celebration! Thus when there’s little or no preparation at all, the celebration ultimately leaves us empty. And that’s the way it is for many people at this time of year, is it not? Let’s face it, the world is into Christmas “feasting” already! In fact, nowadays our secular world is in full “Christmas mode” from Halloween until December 25! And many Christians get swept away in the frenzy! It’s go-go-go, and shop-shop-shop, and party-party-party for almost two months; and then, on December 25, it’s all over. “Finito,” as the Italians would say! And those who make the mistake of getting swept away in the hoopla are no different, no better, no closer to God than they were on October 30th! What they are, of course, is exhausted—totally exhausted—and they need at least two weeks to recover from it all. The feast, and then the headache! The sad reality is that, because these men and women completely bypass their preparation during the season of Advent, their celebration of Christmas is ultimately unfulfilling. Now this is where my “Advent equation” (which I mentioned at the beginning of my homily) comes into the picture and becomes important. As I see it, 3 things are necessary to properly prepare for a truly fulfilling and meaningful celebration of Christmas. The first is contemplation. If we want the coming of Christ to mean something to us, we need to spend some time pondering what it actually meant for God to become man in that event we call the Incarnation. What did it mean for the world? What does it mean for me and for my life right now? One great way to do that is to come to daily Mass during Advent, because most of the readings during these 4 weeks are built around this theme: we hear many of the Old Testament prophecies about the coming of the Messiah (especially from the book of the prophet Isaiah), and we hear about the events surrounding our Lord’s birth. If you can’t get to daily Mass you can still access the readings on-line or in a publication like the Magnificat, and you can read them during your personal prayer time each day at home. Everyone here has a regular, daily, personal prayer time, right? Of course, none of that will happen without contemplation (which, obviously, is just another word for prayer). Next comes reconciliation. Proper advent preparation requires contemplation, but reconciliation is also necessary: reconciliation with God and reconciliation with others. That means, for example, that if we’re holding a grudge or harboring unforgiveness toward another person in our life, we should not expect to experience great joy at Christmas (or at any other time of the year for that matter!). As I said earlier, our Advent preparation (or lack thereof) directly influences the quality of our Christmas celebration. And that preparation must include reconciliation if we want our celebration to be all that it can be. This is why John the Baptist is always the main character in the gospel reading for the second Sunday of Advent! John came for “preparation”—he came to get people ready to meet Jesus, their Messiah. And his message of preparation was simple and clear: Repent! Repent! Be reconciled to God and to one another! On that note, did I mention that Fr. Giudice and I will both be hearing confessions for the next two Saturdays from 3:30-4:30p.m.? John the Baptist would want me to remind you of that, for reasons that should be obvious! Which brings us to the final element of proper Advent preparation: Donation. As most of us know, our materialistic and hedonistic world teaches us—and especially our young people—that Christmas is all about 3 people: Me, Myself, and I.
Christmas, in other words, is all about getting more stuff and satisfying our own personal wants and desires. We are supposed to give our gifts—our donations—of time and talent and treasure to our brothers and sisters here on earth during this holy season (and throughout the year! ), in imitation of God: our loving and awesome God who gave us his greatest gift in and through his divine Son, Jesus Christ, who was born of the Virgin Mary on Christmas Day. It’s always inspiring and uplifting to me to see people responding to others in their need. So many of you have done that here, again, this year, with our Giving Tree project. So there you have it—my Advent Equation: Preparation equals Contemplation plus Reconciliation plus Donation. Preparation (for celebrating the feast of our Lord’s birth with true Christmas joy) comes through contemplating the meaning of his birth, reconciling with God and others, and giving of ourselves and of our blessings and resources to help our brothers and sisters in need. My prayer today is that we will all LIVE this equation fully during this season of Advent, and find true and lasting joy this coming Christmas. 'The Breezy Point Madonna'--still standing! I’m sure many of you have either read about her or seen her on TV. If you’ve seen any pictures of Breezy Point in recent days you also know that most of the homes around the McNulty’s suffered a similar fate. In all honesty, when I first saw a snapshot of this area after the storm, it made me think of old pictures I’ve seen of Hiroshima after the atomic bomb was dropped on that city in 1945. Many are calling it “a miracle” that the statue survived as it did, and I’m inclined to believe them—especially since it’s enclosed in a cement shell. By all the laws of physics, that shell should have caught the onrushing water, which in turn should have caused the statue to fall over and break apart like everything else around it. Many people have obviously found comfort, and strength and hope in this extraordinary phenomenon—and that’s a good thing. Perhaps that’s one of the reasons that God allowed the statue to survive as it did. But, I believe the Lord is also trying to teach us important lessons through this event, some of which relate directly to the feast we’re celebrating today: the feast of our Lady’s Immaculate Conception. 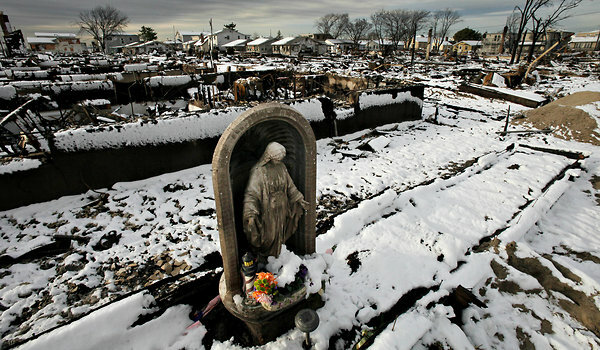 For example, this phenomenon of the Breezy Point Madonna reminds us that, in the midst of the devastation of a fallen world—a world tainted by original sin—Mary stands! As today’s feast teaches us, by a special grace of God, given in anticipation of what her Son Jesus Christ would accomplish for her (and for all of us) by his passion, death, and resurrection, Mary was preserved from original sin from the first moment of her conception. We’re all clear about that, right? The Immaculate Conception does not refer to the conception of Jesus in Mary’s womb at the Annunciation (which is what many people think it refers to); rather, it has to do with Mary’s conception in the womb of her Mother, Anne. Of course, there is a connection between the two events: The Immaculate Conception prepared Mary for the Annunciation—it prepared her, in other words, to be the holy vessel through which the divine Son of God would come into the world—which is why the story of the Annunciation is the gospel reading on the feast of the Immaculate Conception. And Mary never committed even one personal sin during her entire life! From the very first moment of her existence until the moment when she was assumed, body and soul, into heaven, our Blessed Mother “stood” with God. Hence the fire of hell could not—and did not—touch her, just like the fire didn’t touch the Breezy Point Madonna a few weeks ago during Hurricane Sandy. In fact, not even the purifying fire of purgatory touched our Blessed Mother, since she was completely without sin. But Mary does understand us, because she lived her life among us. This is yet another lesson we learn from the miraculous survival of this statue. Yes, it’s true, Mary was without sin (in that she was unlike you and me), but she was not without suffering! At the presentation of Jesus in the Temple, Simeon prophesied that a sword would someday pierce Mary’s soul, and it did. So we should go to her in our pain—as many have been going to the Breezy Point Madonna in the midst of their pain since Hurricane Sandy struck. Do you think it’s a coincidence that this statue is one those images of our Blessed Mother in which she has her arms open and stretched out to us? I don’t think it’s a coincidence at all! With open arms Mary is inviting us to seek her prayers and intercession—especially (though not exclusively) in the midst of our trials. As she was there in the midst of the devastation in New York on October 29, so she is there in the midst of whatever “devastation” we’re experiencing in our lives right now. She is there to help us and to inspire us. That’s why we should say a Rosary—or at least part of a Rosary—every day. God never leaves us, and neither does our Blessed Mother. May the Breezy Point Madonna help us to remember that—and, even more importantly, may she inspire us to go to the real Madonna every day: the one who can (and who will) help us by her prayers. The [Colorado] Rockies send me to the Arizona Fall League. [One day] I’m sitting in my apartment and typing on my computer, when I realize my left hand has a slight tremor and is trailing my right hand. I hold my hands up and wiggle my fingers, like a magician saying “Hocus Pocus.” My left hand is significantly slower. Well, that team doctor might not have an answer, but I sure do: “Ben Petrick, you have Parkinson’s Disease.” And how do I know that (aside from the fact that I’m currently reading his book)? It’s because the 3 symptoms he mentions here—the hand tremor, the inability to type quickly, and the foot cramp when exercising—those are the very same primary symptoms that I have (which is noteworthy, because there are lots of other symptoms of Parkinson’s that the two of us could have, and which other people with the disease do have). Ben Petrick, by the way, was a catcher, and a top professional baseball prospect in the mid-to-late 1990s. Most experts thought that he was All-Star and possibly even Hall of Fame material. He was that good. But his career was over almost before it began, when he was diagnosed with Parkinson’s in 1999—at the age of 22. I should count my blessings that I didn’t get the disease until I was in my early 50s! I mention this today—I mention Ben Petrick and his current physical situation—to make a point about “signs”. 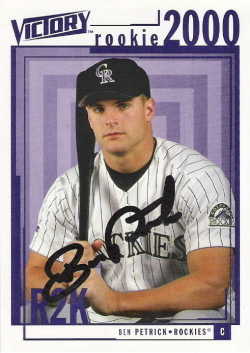 The Colorado Rockies’ team doctor who examined Ben in 1999 didn’t know what was wrong with him, because he did not know how to interpret the “signs”—that is to say, the symptoms—that he observed in Ben’s body. But I do know how to interpret those signs! (Quite frankly, I wish I didn’t, but I do!) I know what they mean; I know their significance; I know where they point (which is right to Parkinson’s Disease!). In today’s gospel, Jesus talks to us about other signs—other signs that we need to know how to interpret. These are the signs of “the end”: the signs that will precede his second coming at the end of the world. But since many of us—perhaps most or all of us—will not be around at the end of the world (unless, of course, the Mayan calendar is right! ), these signs can and should be applied to the moment of our physical death, since that will be the moment when Jesus “comes again” to us, personally, to be our judge. A couple of things to notice about what Jesus says there. First of all, the signs he speaks of: celestial phenomena, turbulent seas, terrible storms—in other gospels he also mentions things like earthquakes and wars and rumors of wars—these realities are, to some extent, ALWAYS with us! For example, we may not have Hurricane Sandys all the time (thank God! ), but we do have some pretty nasty Nor’easters on a fairly regular basis! And the same is true of most of these other signs. And that’s precisely the point that Jesus is making here: Since these signs are, to some extent, always present, we need to live as if he could come again for us at any time. Because he could! We need to be vigilant; we need to be ready. There’s an old song by Tim McGraw that has the line in it, “Live like you were dying.” The song is about a man in his early 40s who gets diagnosed with a terminal illness. His message to his son is to live life to the fullest on the natural level—to live, in other words, like you’re dying, like you don’t have a lot of time left here on this earth. Well, as Catholics we would say that the same message could be applied—and should be applied—to the spiritual dimension of our lives, since our souls are immortal and therefore will live forever! It’s not a coincidence that this gospel is being read on the first Sunday of the season of Advent. During this sacred time of the year, we are supposed to be focusing not only on buying gifts and preparing ourselves to commemorate the coming of Christ into the world 2000 years ago; we’re also supposed to be focusing on preparing ourselves to meet Jesus Christ when he comes for us again—either at the end of time or at the end of our earthly lives. That’s why both Father Giudice and I will be hearing confessions every Saturday for the next 3 weeks, from 3:30-4:30p.m.! I just thought I’d mention that. May the Lord bless us with that kind of confidence always, and especially at the end of our lives.